Advertisers have made great strides in understanding consumers’ digital journeys. 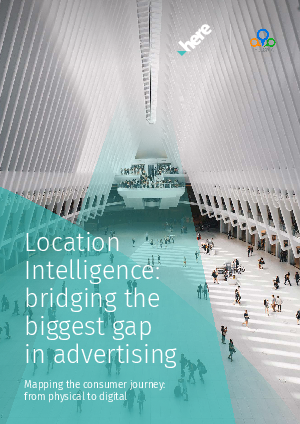 But in order to truly map the steps of the consumer – including bridging the journeys between digital and physical worlds – you need advanced location-enabled intelligence. Find out how precise real-world geometry gives you the context you require to create personalized consumer experiences with the HERE and Location-Based Marketing Association (LBMA) white paper. HERE Technologies gives you the location context you need to make sense of your dynamic user data. Mapping consumer movements to real-world elements such as points of interest, retailers and their building shapes allows you to observe consumer journeys to within meters, and deliver more timely, accurate campaign messages.